If you are a newbie to property investing, you may have had some previous exposure to stock market investing. And just as stock market investors can make money in companies like Facebook or Amazon when they rise in price, so too can real estate investors make money in property when it appreciates in value. Another way to make money investing in real estate is from the cash flow earned from tenant payments. These payments are akin to the dividends companies distribute when you own shares. Except when you own property you usually get paid monthly versus quarterly when you own shares of companies traded on stock market exchanges. And while in the past you would probably have had to roll up your sleeves and do the heavy lifting yourself when it came to buying property and making money from it, these days you can even buy real estate online with a simple point and click of your mouse! Investing in real estate can be lucrative in all sorts of ways. When properties appreciate in value and tenants pay rent on time and regularly, making money passively can seem straightforward. When your income from rent covers your obligations, including to pay loan interest costs, insurance, utilities, maintenance, and taxes, you may even generate sufficient profits to be able to afford to buy more properties. While leverage is attractive to real estate investors because it makes the purchase of properties more affordable, it is a double-edged sword. During economic downturns, property markets can suffer as prices come down causing your equity ownership position to diminish. Imagine you bought a home for $500,000 and borrowed $400,000 from a bank, your equity ownership would be $100,000, the amount of money you invested. If the price then rose to $600,000, you would be sitting pretty because you could sell the home, pay back the bank its $400,000 plus interest and keep the balance of nearly $200,000. So, you almost double your money even though the home price only rose 20%. On the flipside, if the price declined to $400,000 during a downturn, you still would owe the bank $400,000 plus interest while your entire equity position would be wiped out! While real estate investing has great upside potential, it also has some serious downside risk that you should not overlook. You should also factor in the costs of heavy appliances breaking down from time to time. Just when you least need the hassle, the refrigerator or laundry machine may break down, so you should keep a nest-egg in reserve for unforeseen eventualities. Beyond leverage and squirreling away money for rainy days, what other real estate investing tips should you know before getting started on the property ladder? When you rent out property that you own in your own name to tenants, you may be taking on unnecessary liability. A tenant who falls and hurts their head in an accident, for example, may decide to sue the property owner, you! The fault doesn’t even have to lie with you for it to end up costing you a pretty penny. Even if the accident was due to the tenant’s own clumsiness, you may be legally accused and forced to defend yourself. The legal costs can mount up, even if you are 100% innocent. But while paying legal costs is expensive, losing a lawsuit and paying out of pocket can be financially ruinous. So what can you do to limit this personal financial risk? To limit your own financial risk, consider buying property investments through legal entities, such as a limited liability corporation or limited partnership. If you are not sure what the next steps are chat with an attorney or get legal help. You can also ask your tax advisor whether it is possible to invest from a retirement account, like an IRA, so that your investments grow tax-deferred. If you think an IRA might be a good option, you will need to make sure that the real estate you purchase is a business property. You cannot use an IRA to buy a personal residence, a property you already own, a second home, or a non-permanent rental. Instead, it must be a new property purchase that goes directly into your IRA. The way it works is that you would open an IRA custodial account, move money from an existing IRA account into the new account, and then buy the property under the IRA account name. While it’s a bit of a hassle when it comes to administration, the silver lining is that your profits grow tax-free or tax-deferred. The one big gotcha about using an IRA to invest in property is that you are prohibited from borrowing to purchase a property. Banks don’t offer traditional mortgages, so you will need to purchase the rental property with cash. In the old days, you didn’t have much choice but to roll up your sleeves if you wanted to get into real estate investing. It was up to you to scout properties, get a bank loan, refurbish a rental property and find a tenant. And you were generally restricted to residential investment opportunities, unless you were an accredited investor or private client at a bank and had access to commercial real estate investment deals. But these days, you have many more choices to get into both residential and commercial real estate investing. Roofstock is a company that enables buyers to purchase property 100% online. Roofstock removes much of the hassle of buying investment properties because it does a lot of the hard work for you by pre-vetting rental homes, researching locations, inspecting and certifying homes, negotiating list prices, and even connecting you to certified property managers. Rich Uncles is another real estate company that gives you exposure to the property sector. Unlike Roofstock, where you own the rental property outright, Rich Uncles gives you shares in a company that in turn owns the property, so you can earn passive income. Another difference between Roofstock vs Rich Uncles is that Roofstock caters to residential real estate investment while Rich Uncles focuses on commercial real estate. Rich Uncles limits its use of leverage to 50%, so while the upside swings may be limited so too should the downside risk be lower than if a higher leverage ratio was used. Accredited investors who meet the minimum criteria – which is $200,000 in annual income over the previous two consecutive years or one million dollars in net worth excluding a primary residence – can explore other real estate investing alternatives, such as LendingHome. If you don’t want to actually own a residential property but do want exposure to the sector, Lending Home may be a good option because interest is earned from day one, and weighted loan-to-value ratios are limited to 72%. Plus, LendingHome is geographically diversified, so you can limit the risk of exposure to a single state or region suffering from an economic downturn. For high net worth accredited investors who want access to multi-family units and office space, Origin Investments has historically enjoyed a stellar track record. The company began long before real estate crowdfunding became popular so the principals have earned their stripes as more traditional property investors who subsequently added a technology overlay to cater to outside investors. Many of their rivals began from the get-go as technology platforms following the JOBS Act of 2012 that spawned a new era of real estate investing. Previously, Mom and Pop investors could rarely access institutional grade real estate investment opportunities unless they met high wealth hurdles. So, Origin Investments is a company of tried and tested investors who have invested through good and bad economic cycles and thrived overall. If you are serious about getting started in real estate investing, read the best real estate investing books and decide whether you want exposure to the residential or commercial sectors. 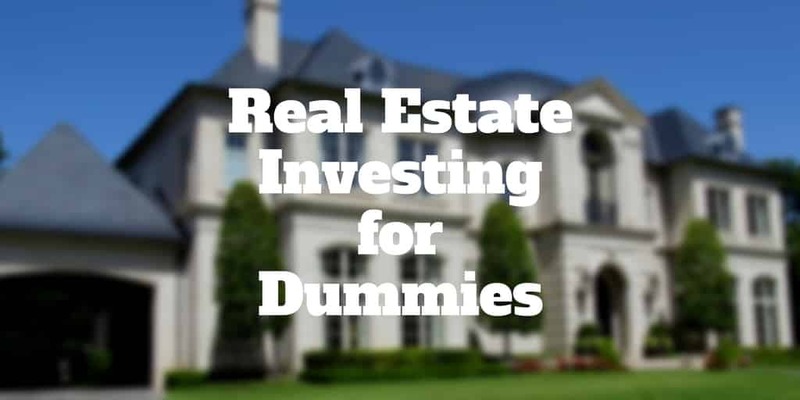 If you are like most investors, passive real estate investing is the goal. You can consider real estate crowdfunding companies like Rich Uncles, LendingHome, and Realty Mogul. However, if the idea of owning rental property outright may be more appealing than owning shares of a company that in turn owns the real estate; Roofstock may be a good fit. Or you could scout properties yourself and by-pass the real estate crowdfunding companies. But if you go down that path make sure to protect yourself from liability as much as possible. You may wish to speak with an attorney and use a legal entity to purchase the rental property. You could even use an IRA to buy property and possibly enjoy tax-free or tax-deferred gains. Whatever investing option you choose, run the numbers ahead of time so you know how much you will need if and when an economic downturn hits. By covering the abc’s of real estate investing 101, you will be more likely to succeed and enjoy passive gains in the long run. ‹ Use NordVPN To Watch Netflix Anywhere!